I painted my scoot with 1k rattle cans which for home diy was suggested as the easiest method. Has anyone used powder coat as a base coat, before painting. Clearcoat over cellulose / Ik ?? 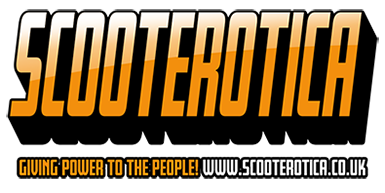 Does anyone know the size in mm of the font on an original Italian scoot. Hiya , does anyone have some form of program or template or whatever so that I can use the PC to plan my paint job ? Has anyone DIY’d polishing alloy parts, eg headset or horncasting of a Lammie? How difficult is it, how good was the result, what tools etc?? Side Panel Badges drilling template? Hi All, hope everyone is tucked up nice and warm in their sheds for the winter! Going to be attempting my 2nd spray job soonish....the orginal TV mudgaurd is fibreglass. LD FRame Jig, anybody doing it?? Hi, can anyone give me a rough idea how much it would cost to have my rear footboards re-sprayed ?